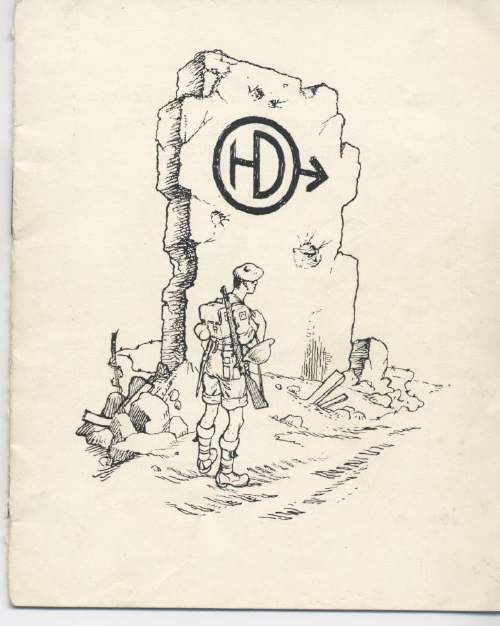 A booklet giving a list of a set of paintings displayed in an exhibition relating to the 51st Highland Divison during WW2 in North Africa and Italy. There are four monochrome photographs. The booklet refers to display of the exhibition in various Scottish cities.